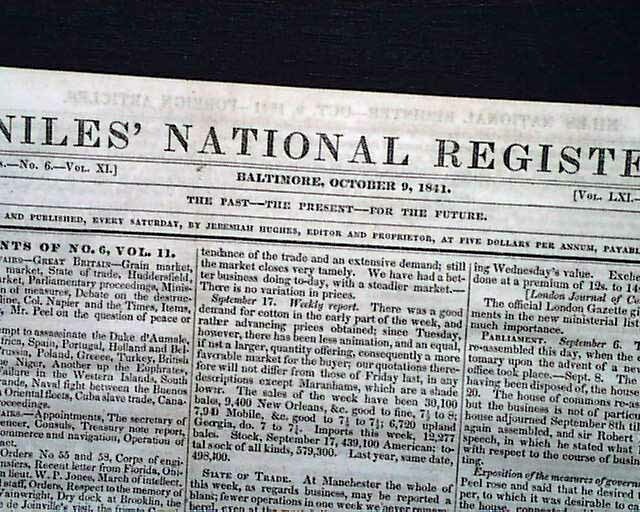 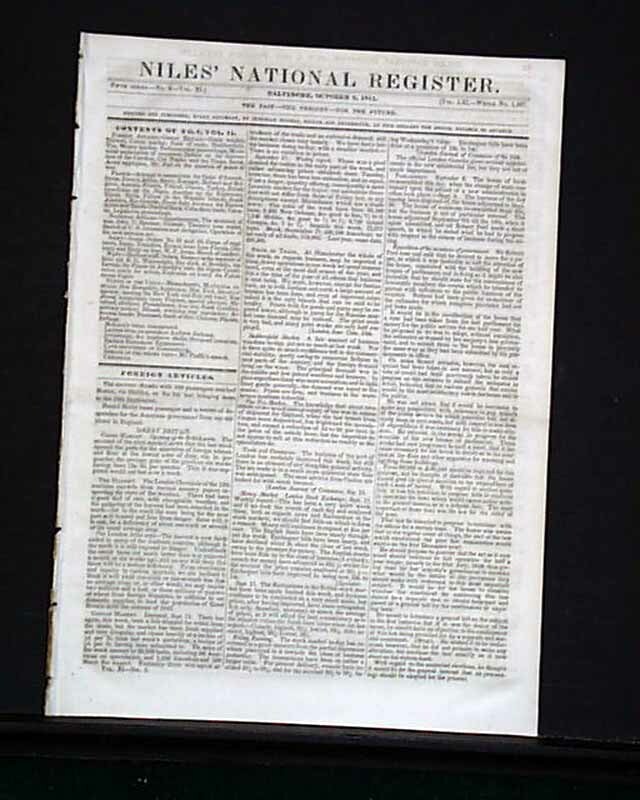 NILES' NATIONAL REGISTER, Baltimore, October 9, 1841 The back page has a brief report concerning the "Africans of the Amistad" slave ship. 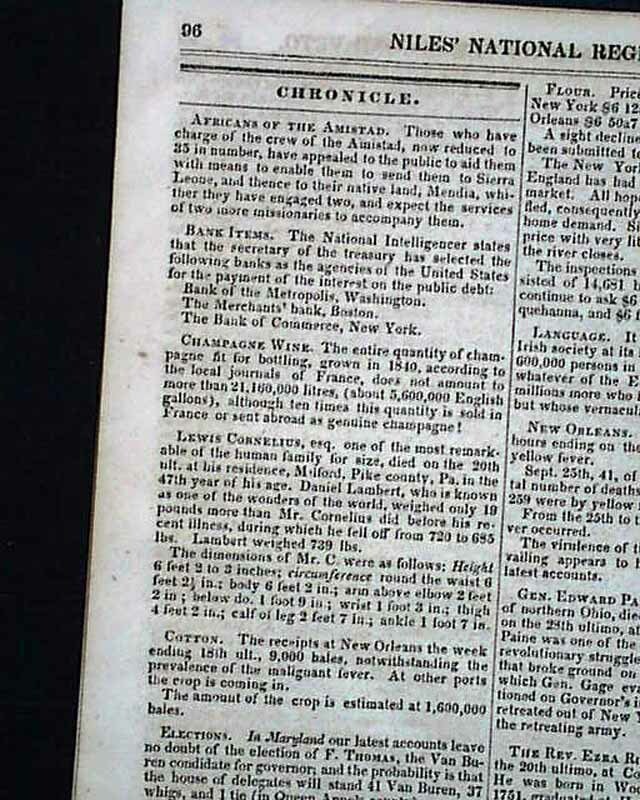 A few years ago Stephen Spielberg did a movie on the Amistad. 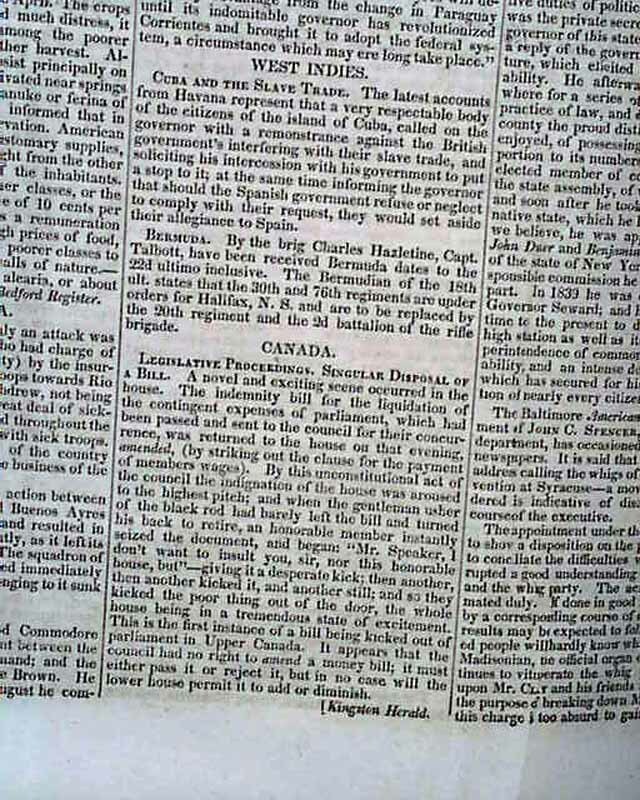 Other reports include: "Cuba & the Slave Trade", reports from Canada, "Letters of Ex-President General Andrew Jackson" includes one signed by him. 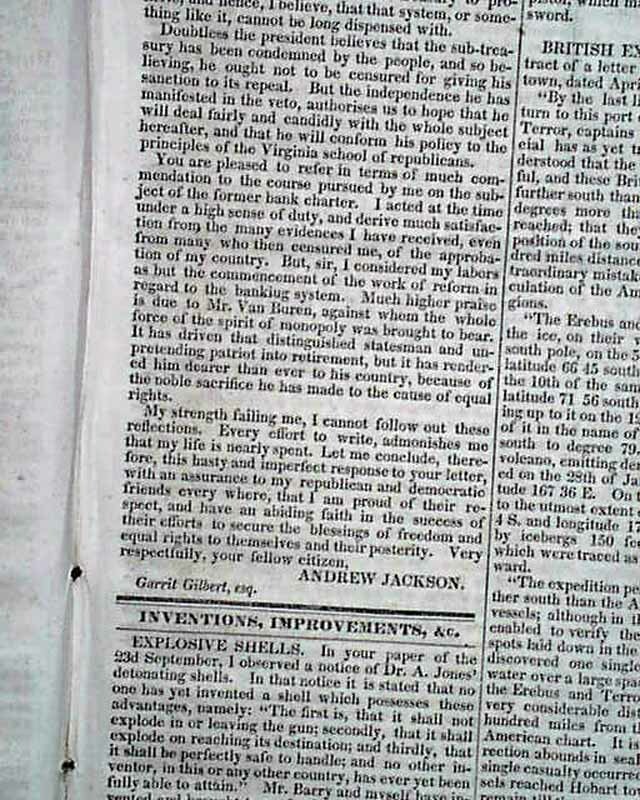 Sixteen pages, measures 8 1/ by 12 inches, great condition.